In both B2C and B2B marketing, about a third of the marketing budget is spent on content. Many successful brands invest even more. These numbers are predicted to keep going up. By 2019, experts believe we’re looking at a $300 billion dollar industry, which means dollars spent on content marketing will have doubled in less than four years. 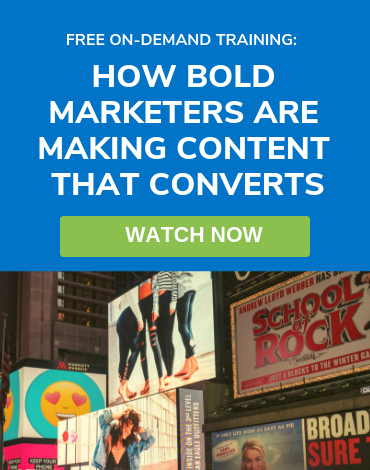 Increasing the amount you spend on content isn’t exactly a bold initiative. Today, it’s actually your safest bet. Content marketing typically generates three times as many leads as traditional marketing and costs as much as 62 percent less. The question is, are you getting a good return on your time and money spent on content? You know other marketers are. That’s why the industry continues to blossom. Content works. You know your content has real quality, creates goodwill among your target customers, and positions you as an authority in your field. 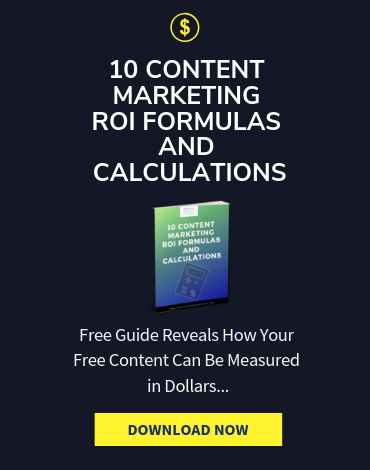 But if knowing how to measure content marketing ROI—the method and the math—gives you anxiety, then you have come to the right place. Marketing is not just about creating great content. In the end, it’s about sales and ROI. You should know exactly how much you spend on creating your content and marketing it. 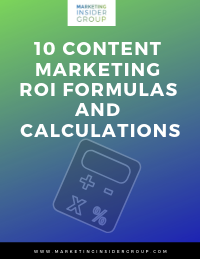 Develop your own formula on how to measure the ROI of your content. Look at the intangible benefits of your content before you calculate its ROI. There are two huge pitfalls when it comes to establishing how your organization will define and measure the ROI of your content marketing. One, getting lost in the numbers, focusing on too many key performance indicators and making it hard to get a clear picture of the impact your content is making. Or, two, focusing on the wrong indicators to measure ROI for your business. A lot of marketers struggle with ROI tracking. According to a B2B Content Marketing Report published by the Technology Marketing Community on LinkedIn, 38 percent of marketers cite measuring content effectiveness as one of their greatest challenges. Only 8 percent consider themselves very or extremely successful at tracking ROI. However, being in that 8 percent offers a powerful advantage. When you can successfully define and measure content marketing ROI you are armed with the information you need to keep improving your content marketing strategy so it’s always working. Here’s the tricky part – there are a lot of moving pieces involved in a great strategy. A lot of these factors change over time, putting your content marketing in a constant state of evolution. Customer preferences. SEO best practice. New technology. Video trends. In order to optimize your content marketing strategy and maintain enviable performance levels, you’ll need continual feedback and analysis of your content. But more than that, you’ll need clarity from your numbers. Why Learn How to Measure Content Marketing ROI? Content creators—often lose sight of the fact that marketing is a business above all else. Great marketing, as ad legend David Ogilvy pointed out, rises and falls based on “how much sales it brings in,” not their creative merit. Save that for the Emmys, Mad Men. The real-life Madison Avenue kings and queens set goals based on their sales versus their expenditures—their ROI. Anyone can create clever content. It takes a genius to create content that achieves its sales goals. You can become that genius. 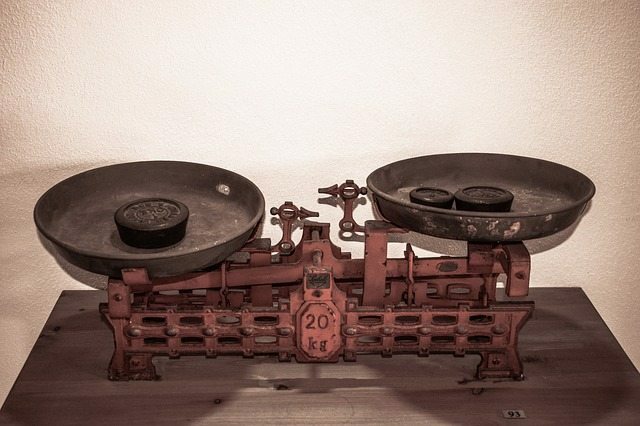 When you have a fail-safe way to measure your content’s ROI, you can measure its success. That, in turn, allows you to set content marketing goals, create a better strategy to achieve those goals, and then measure the success of your new goals. Even Mad Men’s fictional ad man, Don Draper, realized that standing out among one’s competitors is the measure of that success. The only way to know when you’ve achieved that kind of standout success is to measure your ROI. Here’s how. Before identifying your top priorities and defining your metrics, you need to look at the purpose behind the work. 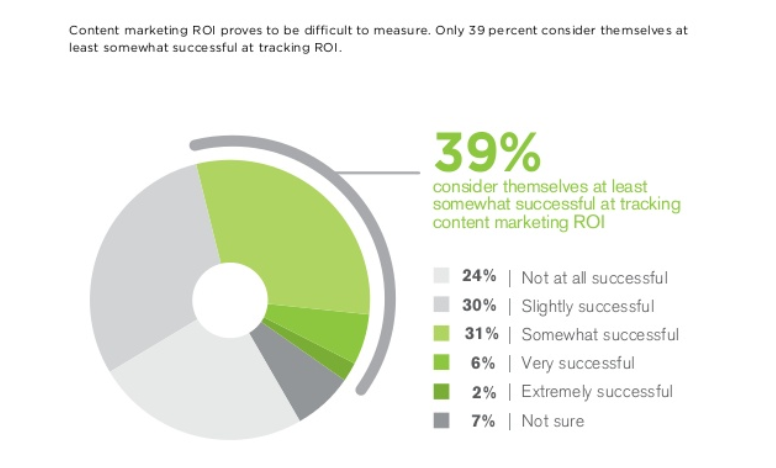 Why are you measuring content marketing ROI? The answer to this question is often the root of a misguided tracking strategy. If you are defining your ROI metrics solely to demonstrate results and to justify your organization’s content marketing budget, you may get a confusing picture when you try to look at your analysis to determine what’s working, what’s not, and how you can make your content marketing strategy better. When there is a lot of pressure on content marketing managers to demonstrate value, there’s the risk of honing in on vanity metrics. Take web traffic as an example. In the same survey mentioned earlier, of 600 B2B respondents, 63 percent measure web traffic to gauge content marketing success. Only 26 percent look at subscriber growth and 21 percent look at revenue. Web traffic is a useful number to look at if you are trying to build your audience. It can also be an impressive figure to show off to budget decision makers. But if you aren’t looking at how many of those website visitors are converting into leads or customers, your web traffic numbers create a very blurry picture. You know people are visiting but you don’t know if your content is compelling enough to motivate action so you don’t know if or how it needs to change. Yes, there’s pressure on content marketers to prove the resources invested in case studies, videos, blog posts, infographics, social posts and other pieces of your content puzzle are well spent. But you don’t want to miss out on the opportunity to uncover those hidden gems that will paint a crystal clear picture of what your content marketing is doing. When you are using your metrics to inform your strategy more than your budget, you’re going to get the insights you need to keep making it better. Analyzing the ROI of your online content is a little different than when you measure the ROI of a banner ad or a Facebook advertising campaign, or a one-off piece of off-line content like your event marketing. This is because, once you publish your content, it may take several weeks or even months for search engines – and your audience – to discover it. Unless you have already built up your blog readership or podcast listeners, factor in a time lag when measuring your content marketing ROI. Instead of measuring content just to justify it, you can use cost tracking to make the value of your content marketing black and white to C-suite with one simple analysis. Then, you can spend more of your ROI bandwidth on metrics that matter. Keep track of how much each piece of content you product costs. If you’re outsourcing, you may have straightforward expenses for some of your content. Don’t forget to also include the time spent by your team editing, managing, and promoting the content. If you don’t have the resources for this type of heavy cost analysis, you can audit some of your content. For example, what are your total content costs in a month or what’s the average for three months? Then, you can look at your costs and revenue to determine your content marketing ROI. Once you have this baseline, compare it to your organization’s marketing ROI for targeted advertising. This can be a helpful comparison to gain support from executive management so you can go back and focus on measuring content performance. It’s not always easy to convince your CMO and marketing leaders to give you the budget and support for content marketing. To get their buy-in, you need to show them the ROI of content marketing. But what makes this so hard is because content marketing is a long-term investment with long-term results. Content marketing is not traditional marketing or advertising, and it requires a completely different mindset and strategy that is more customer-centric and value-led. It’s an approach different from what traditional marketers are used to. So how do you go about challenging the status quo and convincing your marketing leaders and teams to get on board? To help you build a strong business case for content marketing, you need to talk about what your marketing execs care about: revenue growth, cost savings, brand loyalty and operational efficiencies. Here are 10 proof points from NewsCred you can use to help get the budget and support you need for your content marketing efforts. Content marketing drives positive brand perceptions: GE partnered with BuzzFeed to create branded content and found that it significantly lifted brand perception when compared to the performance of display ads. The majority of users who saw GE’s branded content viewed GE as a “creative,” “inspiring” and “innovative” powerhouse, which resulted in a 138% Brand Lift on social media. Moreover, nearly 80% of users who discovered GE’s branded content through trusted recommendations via social media, such as Facebook post or Tweet, assigned a positive brand attribute after viewing the content. Content marketing is a cost-effective strategy to boost organic reach & engagement: Intel conducted an analysis comparing the impact and reach of TV advertising and content spend. Spending $5 million on a 30-second spot during the Super Bowl earned Intel 57 million engaged minutes. Engagement for a $5 million spend on Facebook, on the other hand, would drive 83 million clicks to the company’s content hub Intel iQ. This is the equivalent to 1.5 million subscribers and 257.5 million engaged minutes, given an average user typically spends about two and a half minutes on Intel iQ. Content marketing leads to more customer acquisition: Hubspot’s State of Inbound Marketing study found that increasing your publication cadence directly leads to greater customer acquisition. 82% of marketers who blog daily acquired a customer using their blog, as opposed to 57% who blog on a monthly basis. Content marketing yields better ROI than advertising: Content marketing enables Kraft to gain a better understanding of its consumers through consumer interactions with its content. The first party data Kraft owns allows the company to quickly identify new consumer trends and target advertising based on these insights. In two years, Kraft has shown its content marketing efforts is driving 4x better ROI than traditional advertising. Content marketing boosts pipeline revenue: Xerox launched a targeted campaign to connect and engage their top 30 accounts, and partnered with Forbes to create a magazine offering relevant, valuable business tips to Xerox’s target audience. Over 70% of the targeted companies interacted with Xerox’s microsite, and the company saw a 300-400% increase in readership compared to past email campaigns. But more importantly, through the campaign Xerox generated 20,000 new contacts and over 1,000 scheduled appointments, which earned the company $1.3 billion in pipeline revenue. Content marketing drives brand awareness and sales: Being the world’s 5th largest PC vendor, ASUS was largely unknown to many consumers globally. To fix this brand awareness problem, ASUS partnered with Microsoft to create a content marketing campaign. The campaign included a microsite featuring editorial and customer content such as videos and articles, and was launched across 8 countries. According to Microsoft, the microsite earned 4 million visits and an online audience of 16 million users. ASUS exceeded its sales objectives by 60%, and saw a 16% increase in its global sales and 2.6 million increase in computer sales. Content marketing influences purchase decisions: When considering a purchase, 85% of today’s consumers conduct research and read content from trusted experts. On average, consumers engage with 11 pieces of content before making a purchase decision. For B2B buyers, they are 3 times more likely to visit a product or service provider’s website to learn about their offerings before making the final purchase. That’s why content marketing matters. By consistently delivering valuable, relevant content to your target consumers, it shows that your brand is genuine in your care and interest about customers and their needs beyond just selling your products. This helps your brand build thought leadership, authority and credibility in your space. So when a customer is ready to make a purchase, they have full confidence in your brand and are ready to work with you. Content marketing gets more customer renewals and upsells: By increasing its publishing cadence from 2 to 6 blogs a week, the content marketing agency, NewsCred, saw 41% higher renewal rate, 33% more sales and 24% higher MRR (monthly recurring revenue) for customers who engage with their content. Content marketing improves customer loyalty: Retaining your current customers is 6-7 times cheaper than obtaining new ones, and leading marketers are using valuable content relevant to their key customer segments to foster stronger loyalty to their brands. Patagonia’s Worn Wear campaign is a great example of this – it highlights stories of customers using their products until they are finally worn out, encouraging consumers to not purchase new clothing unless absolutely necessary, to be more sustainable and, of course, more loyal to the brand. Content marketing reduces content development costs: In its Marketing And Media Efficiency Outcomes Drive Content Marketing report, Forrester found that many brands use content marketing to reduce the amount of content produced within their organizations, which dramatically lowers overall content development and management costs. Through more effective planning and collaboration, organizations within a company can produce and manage fewer, high quality assets that can be reused to maximize content spend and efficiency. There are dozens of performance indicators you can look at to track your content ROI. Performance metrics will reveal what you need to know, as long as you tie them to your business goals. Which means you aren’t going to focus on the same metrics all the time. As your business goals and, therefore, your content marketing priorities change, so will the numbers you use to gauge performance. The trick is to make sure your defined metrics are always telling your content’s story. For example, if you are trying to build your audience, sure, look at web traffic. You also want to know your brand’s share of the conversation and social media sharing, bounce rate and time on site. This will give you a better idea of engagement and how much your content is king in your industry. If your business needs better-qualified leads and conversions, your content strategy will probably focus on creating case studies, white papers, eBooks, and other content that motivates people to subscribe to your newsletter. This is where you’ll look at both your conversion numbers for your content as well as customer retention numbers. How long are the leads you work so hard to nurture with your content staying as customers? For customer loyalty, the focus will be on retention as well as monitoring customer feedback. How much of a response are you getting and what is the qualitative response to your content? What percentage of people respond favorably to your social posts, blog posts, white papers, videos, events or other types of content? You can use Google Analytics, your free web-based resource, or any other paid analytic tool such as KISSMetrics, GoSquared, Woopra, or Clicky to measure important KPIs to gauge the value of your website’s content. First look at consumption. Is your content reaching your audience as much as you want it to? Are these numbers increasing over time? Are people staying on your web pages long enough to gain value and to be motivated down your sales funnel? Look at how your individual blog posts are doing. Which ones are getting the most visitors? Which aren’t performing well? Are there any trends that are making some of your content more interesting to your site visitors – better images, longer posts, more statistics, more story? In his August 2016 article in Entrepreneur, Jayson DeMers shares two challenges you’ll come up against when you perform your calculations. Early returns aren’t always the best barometer: Most content starts out “with a negative ROI, scaling in return as it scales in volume.” You need to give your numbers time to adjust. It’s difficult to put a number to more esoteric benefits: Though it’s difficult to calculate more subjective standards such as reputation and authority, these numbers correlate with more sales overall. But in today’s digital world, with enough patience, you can measure exactly how successful your content marketing campaign is. Getting in the weeds on the numbers: When you focus your attention on too many key performance indicators (KPIs), it makes it difficult to get clarity on the overall impact your content has made. Using the wrong KPIs: When you measure ROI, you need to limit your focus to only the relevant factors. Looking at early figures, for instance, can throw you off—as DeMers points out. Social media mentions outside your target customer base, too, might be irrelevant to your ROI, unless yours is a campaign to reach a new demographic. If your content marketing agency does all the legwork, this part is easy. If you want to look at the ROI of a single campaign—as opposed to your overall content marketing strategy—be sure to use only those agency expenses that went into that campaign. If, however, you do your content marketing in-house or hire outside contractors, it gets a bit more complicated. You’ll need to account for employee or contractor expenses in your total cost. Don’t forget to count the cost of other expenses, such as hiring a video production company for an explainer video for your new product’s kickoff, your lunch with a local journalist to give her an exclusive peek at your product, or other incidental expenses related to your campaign. Your total monthly spend, too, may prove useful, particularly when you’re pitching your overall content marketing program to your company’s C-suite executives, as marketing departments often must do, according to Forbes’ Joe Escobedo. Unless there’s a specific campaign that’s a standout, often they only want to know if their investment in content marketing is paying off in the big picture. Is Your Content Motivating Action? 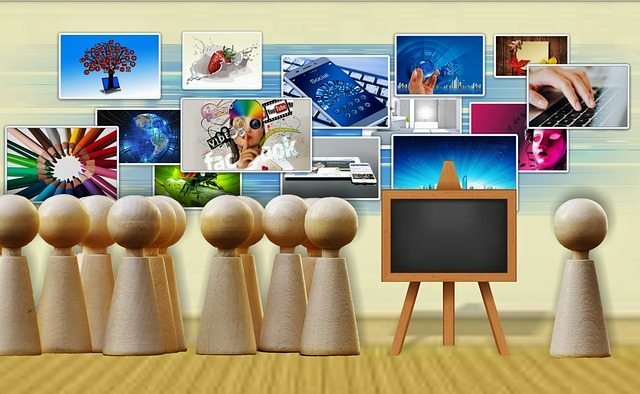 Is your content engaging? Tools like HootSuite, Buzzsumo and Buffer reveal what other sites may be sharing your content and where you may be getting your backlinks. Look at these insights against the backdrop of your consumption metrics to gain even more understanding into the value of your content. For example, a blog post that gets shared across social media channels and plenty of comments on site, but isn’t getting a lot of action in the lead-capture department probably needs some CTA work. These pages are prime territory for lead-capture forms and strong CTAs, directing site visitors to your landing pages. Which pieces of your content are getting the most lead generation action? With Google Analytics, you can follow where your visitor goes. If they watch a video, then follow a link to learn more about your services, and then click on your contact page to fill out a form, you know this content is generating leads. What’s your lead-value price? First, determine how much each lead is worth. For example, they could have an average value to a business of $50. Then determine your total cost of creating and promoting your website content for the month. Maybe this expense was $5000. You need to generate 100 leads to cover your content marketing investment. Anything beyond your baseline is your potential return on investment. This is another way (in addition to the formula we’ll get to later) of looking at your content ROI. The actual return, of course, depends on the quality of the leads you are getting and how good you are at converting those leads into buyers. Hubspot and Zoho are intuitive CRM solutions to use for tracking leads and segmenting, which will make it easier for your lead nurturing processes. What’s a good conversion rate? It varies by what channel you are using and by what industry you are marketing for. 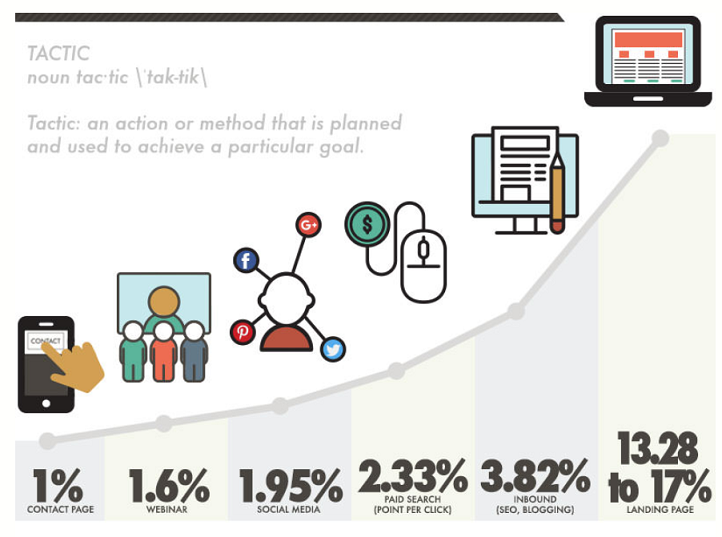 For example, a webinar may yield a 1.6 percent conversion rate. A good inbound marketing conversion rate is around 4 percent. Keep in mind, some industries convert better than others. Financial and software businesses should expect a much higher rate than retail or eCommerce. Even more telling into the ROI of your content marketing is your sales conversions. 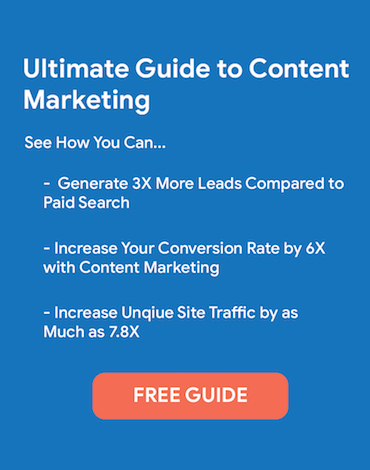 How much in sales is your content marketing leading to? For many businesses—especially those in e-commerce—this can be an easy number to find. Let’s say you’re an online jewelry store who has just finished your February Valentine’s Day campaign to promote your collection of diamond rings. To that end, you launched a content marketing campaign that involved videos, a press release, and a blog article that got some Facebook love through your savvy social media strategy. If you have no brick-and-mortar site, all you need to do is calculate the average purchase price of the rings’ total sales. That would be your average conversion value since all your sales came from your online presence. If there are more variables—such as a brick-and-mortar store as well as your online sales portal, it can become more complex. The best way to work around this complexity, then, is by learning how many conversions you got during that month—in this example, February. That number you can find through calculating the traffic impact. Next, you’ll analyze these conversions to see which of them happened as a result of your content marketing strategy. Look at the organic traffic coming from search engines. For the most part, all of this traffic comes from your content marketing strategy, since your content will pull in inbound links. The more inbound links you have, the higher your domain authority. The higher that goes, the more visible your website will be on search engines. Referral traffic counts—since your off-site content (such as your videos and press releases) has made an impact on your referrals. For example, a young man’s mother sees your diamond ring promotional video (knowing that her son plans to pop the question on Valentine’s Day) and tells him about your 20% off promotion. He gets online, looks over the selections, and boom! Your astute content marketing has brought in another sale. Your social media traffic, too, figures into the mix, since you—or your content marketing agency—has likely plastered your Valentine’s Day promotion content all over your social media platform. Filter out those conversions that you can’t attribute to your content—and you’ll have the number of monthly conversions your content drove. 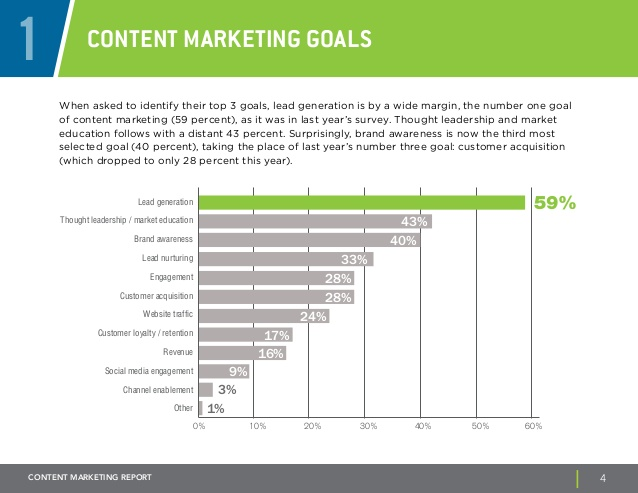 Most content marketers, unfortunately, don’t count revenue among their top three goals. Only 16% of content marketers surveyed in LinkedIn’s survey, shown above. But revenue is what drives your business. It’s what the C-suite execs want to see from their marketing campaigns. It is, after all, the “return” in your ROI. That’s the reason even creatives have to study Algebra 101 their freshman year. It all goes back to the need to quantify the impact their work has on their target customers’ purse strings. There’s an equation for that. A couple of them, in fact. Equation 1: Multiply your total monthly conversions (from Step 3) times your average conversion value (from Step 4). That will give you your direct content marketing benefits. Next, subtract the content costs you calculated in Step 2. Equation 2: Direct Content Marketing Benefits – Content Costs = Your Content ROI. That’s the bottom-line figure you take to the C-suite. That’s the number you need to dig into to tweak your next campaign. 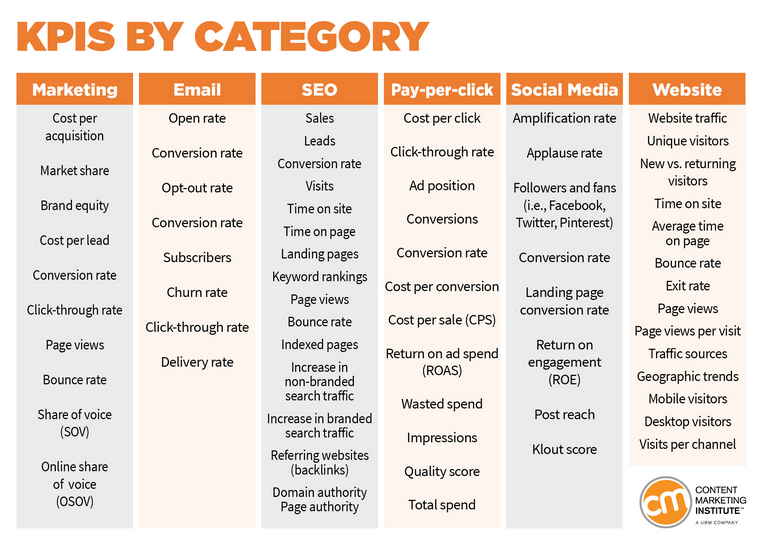 All of these metrics are useful but what about the overall return on investment of your content marketing budget. Your return could be your sales, or for some sites, there may be other forms of revenue. Compare this to what you invested every week, two weeks, month, and quarter per channel and for your content marketing as a whole. You’ll be able to clearly see how your budget is impacting your bottom line. Your brand’s reputation, visibility, and customer loyalty: These grow over time, though each successful campaign can increase these significantly. For instance, the goodwill you generate among money-strapped lovers during your Valentine’s Day discount promotion can grow your brand’s reputation among your target customer base as they tell their friends, their friends tell theirs, and so on. If your brand’s quality matches the promise in your content, those connections will build loyalty over the years as they grow in trust. Long-term online growth: Analyze the numbers after every campaign—and improve those areas in which you don’t achieve the results you want. When you do that, your web presence will grow with each succeeding campaign as you get closer to content marketing perfection. Attracting quality influencers and backlinks to your brand: As Paperflite vice president Akshay Sasikumar points out in Entrepreneur, these factors are difficult to measure in number but will produce more revenue for your brand when experts in related fields refer customers to or link to your site. 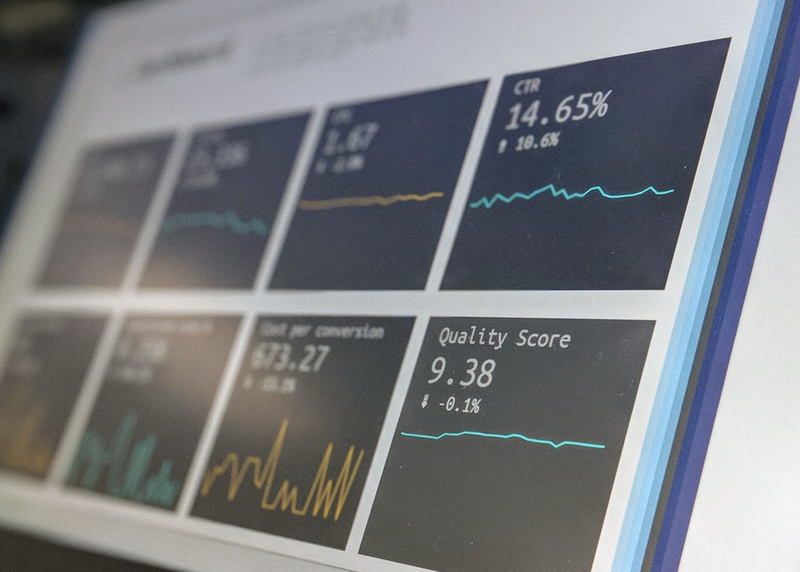 Once you master the basics of how to measure content marketing ROI, you can go deeper into the minute details in your marketing analytics to get an even better grasp on how much value your campaigns bring to your business. When you undertake every campaign with your ROI in mind, it can transform your content marketing strategy. Be one of the 16% of the nation’s content marketers who prioritize ROI and you will stand out. You will succeed. Once you have your current priorities set and you know what metric data to focus on, you can create your performance benchmarks. What does content marketing success look like for your organization? Being able to measure against your benchmarks makes it easier to see if your content is helping to reach goals or if it needs work. Then, when you calculate the ROI of your content by looking at your costs vs. revenue (or a given value for an action if you can’t tie a metric directly to revenue), you can see where things are working and where you need to make changes to either the content or a part of your strategy. This is why tracking your ROI with the intent of informing your content is so important. 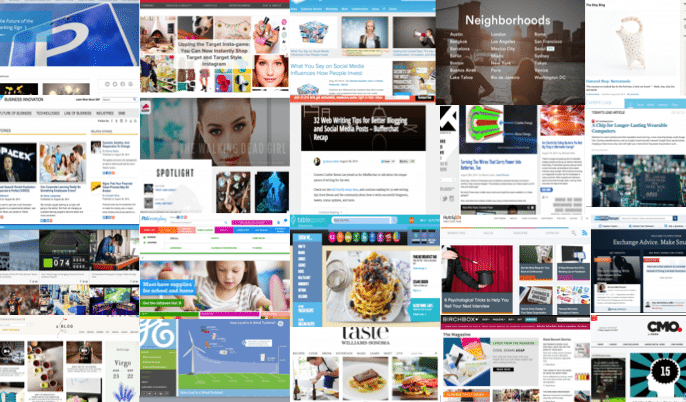 When you can see where one content channel is experiencing higher than normal conversion numbers, where another seems to lead to an apparent dead end landing page, what types of your content are making up the bulk of your industry presence, and every other pearl of wisdom you dictate your data to tell you – you have a wealth of information to constantly refine your strategy. And, never-ending refinement is what brilliant, business-boosting content strategies are made from. There’s Your ROI, Now What? Figuring out your content marketing ROI isn’t a tool for patting yourself on the back or to validate the industry. It’s to inform your marketing efforts. The goal is to ensure the money spent on content is worthwhile, that it’s attracting more interest in your brand and leading to a growing number of sales. It’s also important for determining what types of content work best for your demand generation as a whole. For example, you may find that investing money into high-quality video content isn’t giving you as much of a return on investment as a marketing event or webinar series, which costs about the same amount to pull-off successfully. This gives you immense insight into what your audience prefers and what direction you should head into with your future marketing strategies. Your ROI, conversion rates, and consumption metrics can also be used to hone in on the individual blog posts, CTAs, and other pieces of the puzzle that impact your numbers the most, and which are barely inching your audience along the sales funnel. You may be surprised that what works the best isn’t what you had anticipated. Keep measuring your content ROI and other KPIs so you know where to shed what isn’t working and what to replace your low-performing content with. Absolutely! Analysis of your business needs requires constant attention and can be overwhelming, but there are ways to make this vital part of your strategy building easier. Thanks for sharing!